Weather Much, much hotter than very, very hot and dusty. Diary Sudan so far. I feel like the Queen (as opposed to a queen) the amount of waving I do going through each village. Sudanese people are either very keen on waving or I do look like the Queen. Might be the Egyptian haircut and my lovely lime green dress and yellow hat. Quite cheap though 100USD for a visa and then about 25USD (per person) to register once you arrive is a bit steep. Roads and infrastructure really are the pits. Then again they probably have something far more important to spend their money on…like the Mig 29’s that flew over us in the desert. 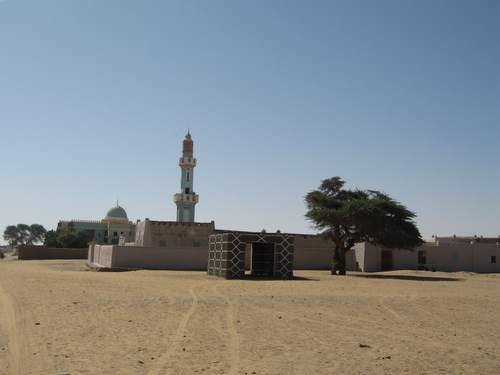 Pic is "typical Sudanese village"